GetHiking! 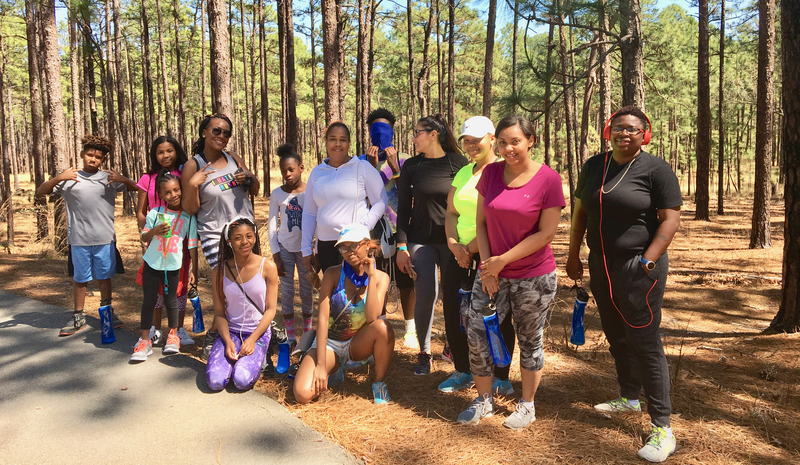 2019 Corporate Wellness: Employer Options - GetGoing NC! Whether you’re a small business with a handful of employees or a multinational company with operations in the Triangle, there’s a GetHiking! 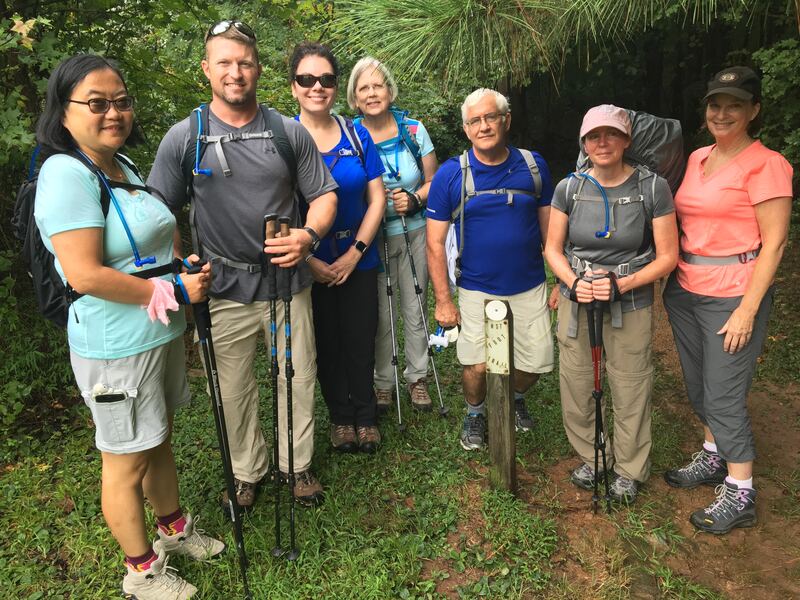 Corporate Hiking Program for you. Resources. List of resources including places to hike, information on gear, etc. 2. Weekly GetHiking! hike. 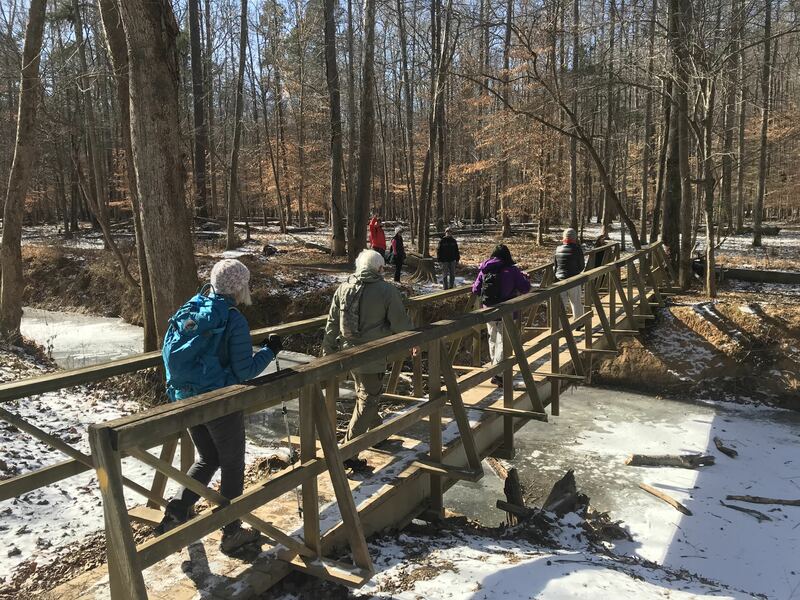 Eight-week program with hikes every Sunday afternoon at 1 p.m. Our winter session begins Jan. 6 and runs through Feb. 24. (see attached schedule). 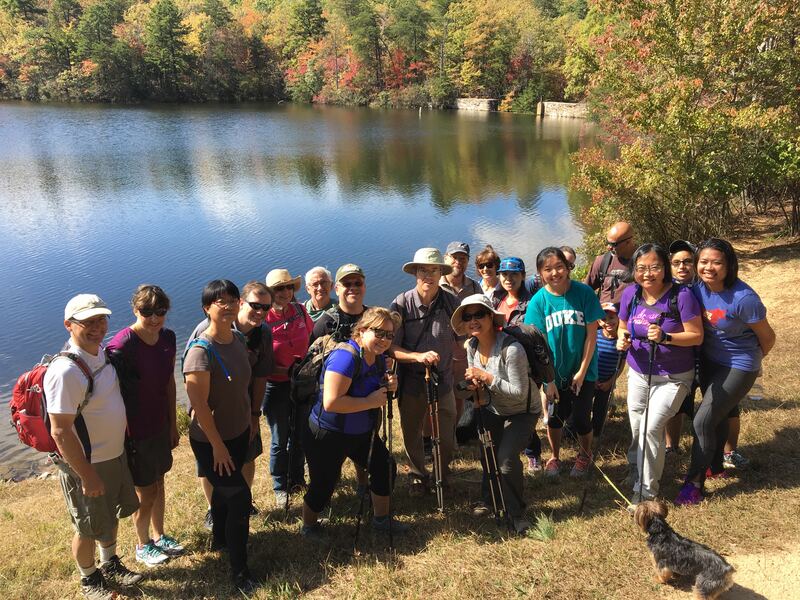 Hikes are at various locations around the Triangle, and are between 1.5 and 4 miles in length. Each week we send out an enewsletter detailing the hike for the coming Sunday, as well as hiking tips and resources. 1 p.m. on Sunday not a good time? We can set up a schedule just for your team, with a minimum of 12 employees. 2. Weekly GetHiking! hike. 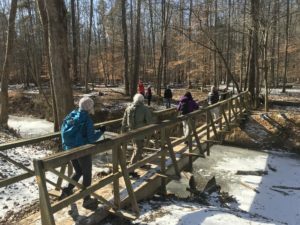 Eight-week program with hikes every Sunday afternoon at 1 p.m. Our winter session begins Jan. 6 and runs through Feb. 24. (see attached schedule). 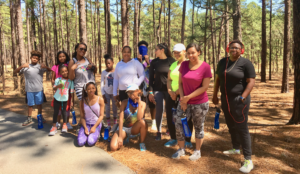 Hikes are at various locations around the Triangle, and are between 4 and 8.5 miles in length. Each week we send out an enewsletter detailing the hike for the coming Sunday, as well as hiking tips and resources. GetHiking! 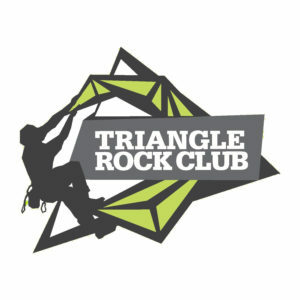 Triangle: Getting a practice run in for MST in a Day on September 9. 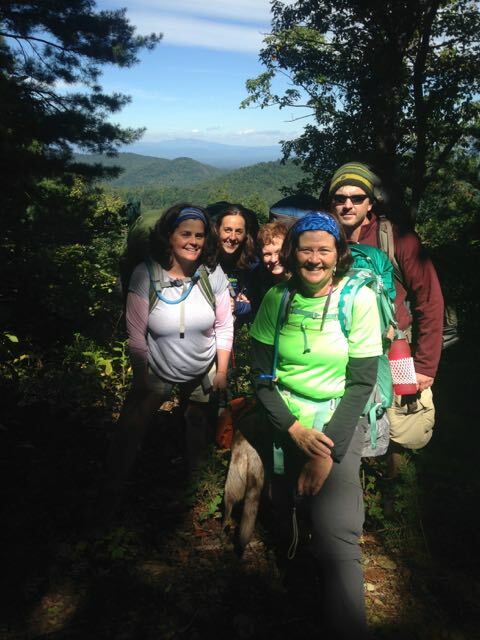 Our goal is for hiking to become a healthy lifestyle for your employees, not a fitness fad. To that end, we will offer similar eight-week sessions in the spring (March 10 — April 28) and fall (Sept. 15 — Nov. 3), as well as an after-work program from May through August. Participants from your company also receive a 20 percent discount on our GetHiking! GetBackpacking! GetCamping! and GetOriented! 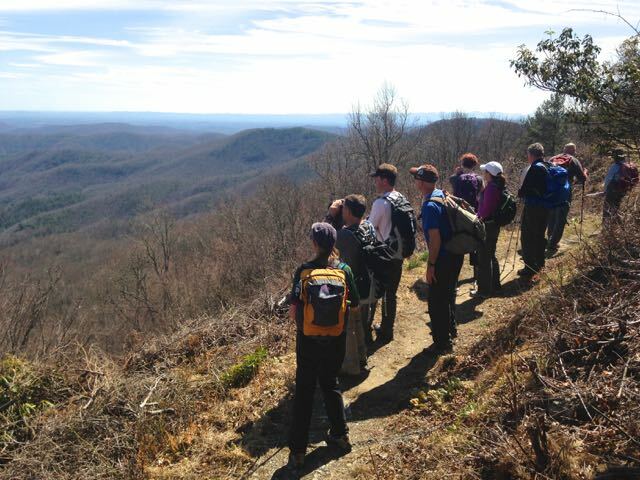 programs during the time they’re enrolled in the Corporate Hiking Program. See GetHiking! Programs for these other opportunities.. Hike leader. Responsible for keeping the group together and on the trail. The hike leader will need to be familiar with the basics of using a map and compass to follow a trail. He/she will need to know what a double blaze means, how to stay on a trail when it becomes indistinct, how to read a map and use a compass, and what to do in the event the trail is blocked. He/she will also be responsible for making sure the group stays together, or if different factions of the group want to hike at a different pace, making sure that those factions know they need to stay together. Naturalist. This person will be responsible for researching the natural history of the trail and pointing out and identifying the flora and fauna along the way. Not everything, of course, but enough to make the hike more meaningful for fellow hikers. Historian. Many modern hiking trails evolved from the highways of yesterday. The historian will be responsible for knowing the human history of the area the trail. Medic. 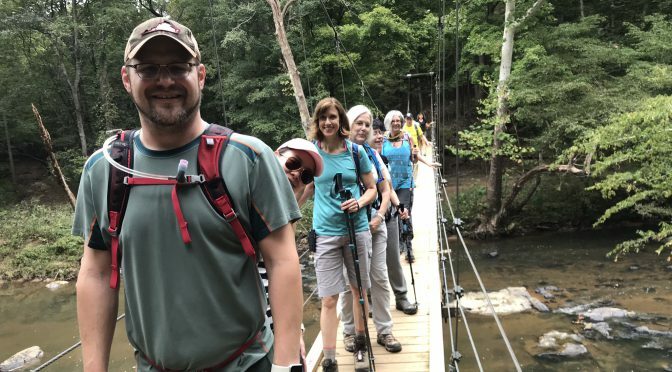 This person carries the first-aid kit, is familiar with what’s in it, and can help hikers deal with blisters, cramps, muscle aches and other minor ailments. Caterer. Well, not a caterer, really. Rather, the person responsible for keeping the group fueled. 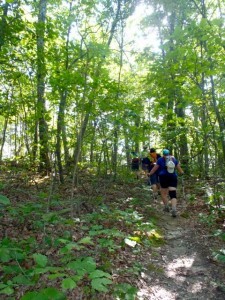 You burn a lot of calories on the trail and refueling along the way is critical to finishing a long hike. The caterer will be responsible for researching various ways to provide nutrition (from sophisticated power gels to Little Debbie Cream-Filled Oatmeal Cookies) and introducing the group to the various options. Sweep. The caboose of the hiking team stays in the rear, offering moral support to flagging hikers. By assuming an important role each week, this approach places responsibility on individual hikers to make the hike as enjoyable as possible for his/her fellow hikers/team members. Role-playing also builds a well-rounded hiker capable of appreciating the trail in various ways — and increases the odds of creating a long-time hiker. Tip sheets will be available for each role to help hikers learn and understand their responsibilities. Cost: $350 per employee for six employees (minimum), $300 per employee for seven to 12 employees. Does not include the cost of graduation weekend.